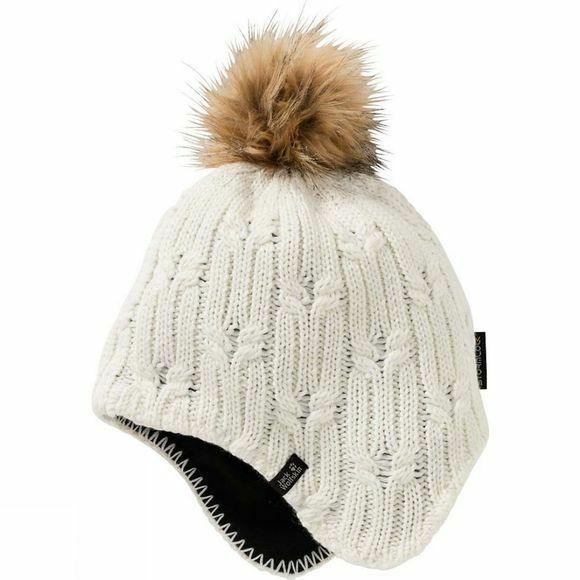 Made to keep your head and ears warm, the Womens Stormlock Braid Cap from Jack Wolfskin has a knitted exterior and a windproof fleece lining. The combination is really warm, even when an icy cold wind is blowing. The hat is shaped at the sides to protect the ears.